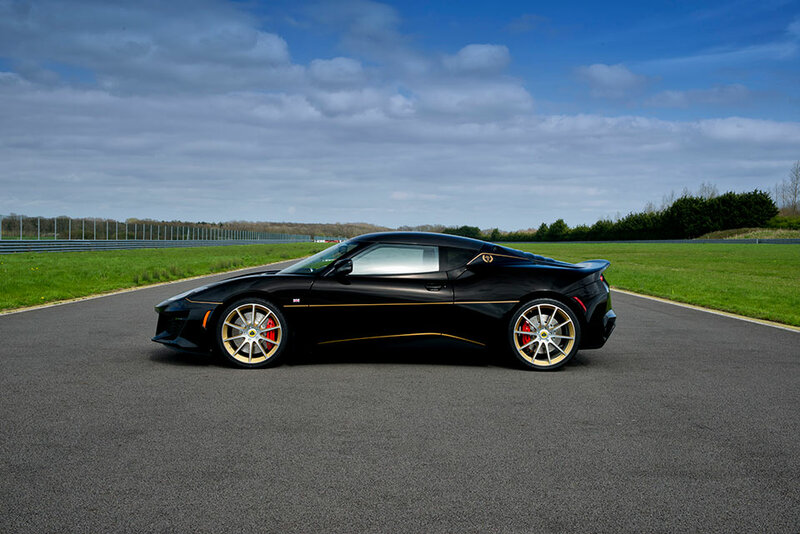 Lotus is showing off a new version of the Evora that will be coming to the US. 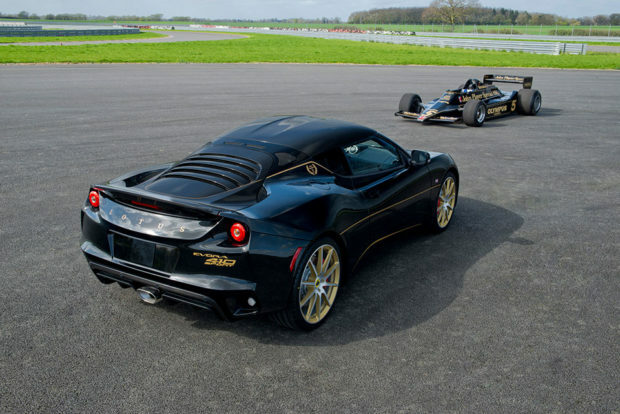 The new car is the Evora Sport 410 GP, and it weighs just 2,910 pounds and is capable of reaching 60mph in 3.9 seconds. That weight is 132 lbs lighter than the normal Evora 400. The car has a top speed of 190 mph, and its maker says this is the fastest and most focused Evora for sale in the US. 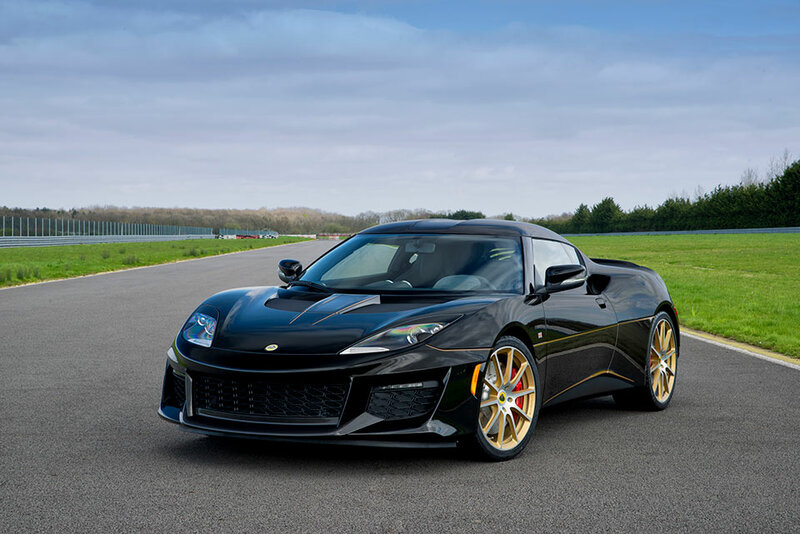 Lotus says that the 2017 Evora has been extensively redesigned to meet safety standards of the North American market. 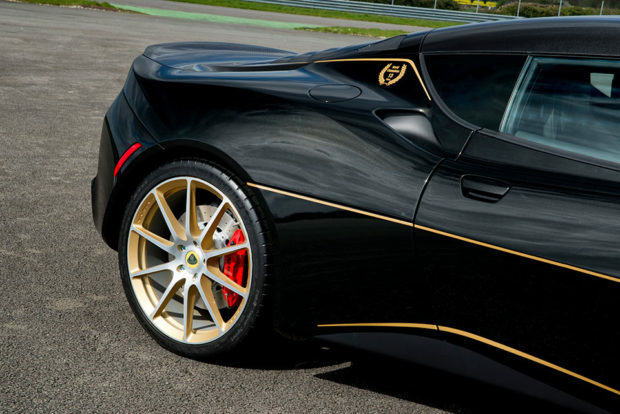 The car gets special black paint with gold accents and looks fantastic. It reminds me very much of the old school John Player Special racing cars. 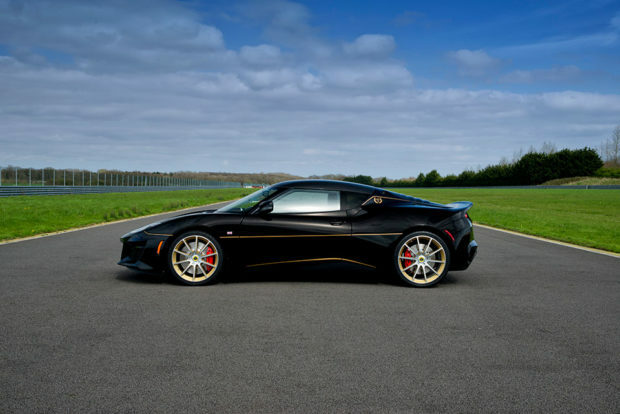 Only 150 examples of the handmade car will be available globally each year, and the next six months of production are already spoken for. 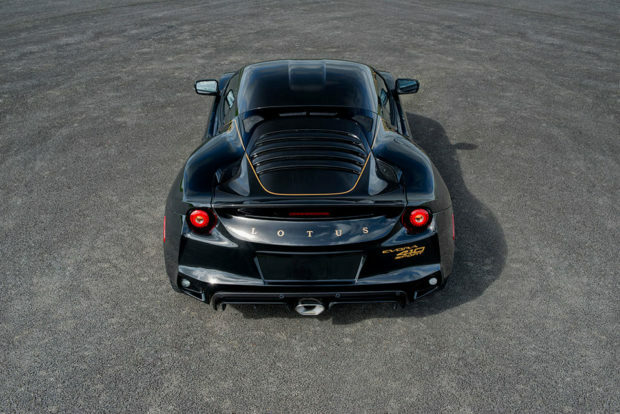 The Evora Sport 410 GP Edition will sell for $110,000(USD).